My heart is aching as I write this...I missed my dog! I never thought I would be one of those people. Before we got a dog, we would see others' post and think, "man those people are really attached!" Well now I'm one of them. We normally have a family relative take care of Buddy when we travel, but she had too many pups to watch over this last Thanksgiving. So we had to branch out to other sources and weren't loving the idea. Someone suggested to use Rover.com, and we started looking people up. The interface was nice and it was very easy to see others' reviews. We quickly discovered that there was a large selection of people on Rover.com; some living in small apartments and others with their own homes. We started to narrow down our search to fit the needs of our very large dog, and came up with our top five. After reaching out, our top five was narrowed down a little more, and we set up "meet and greets." This was an important part of choosing who we liked, as we could see how our dog liked the environment and person who would be watching him. After that we decided on the best fit, and booked our pup's stay. We had to pay immediately when booking, so a couple of months before the planned visit. 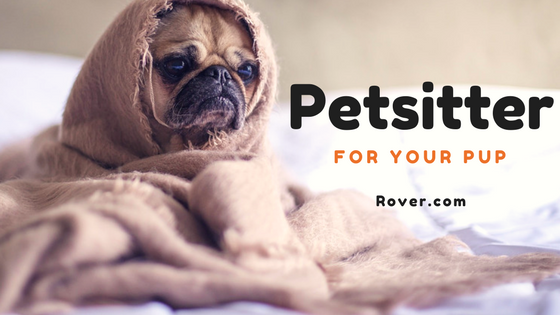 The payment was done through Rover.com, and we didn't have any issues with our pupsitter cancelling after receiving the payment. After the reservation was confirmed, I was able to fill out the specifics of Buddy. I provided his vet's name and information, a description of Bud's personality, and some "heads up" items. These items were like: don't let me get anywhere near socks if you want a pair, he goes nuts on the leash if he sees a squirrel looking at him the wrong way...you know, those "heads up" items. Drop off was super easy, as I pulled up and Buddy ran off to find said squirrels, and I provided the food to the sitter. He asked me a couple of confirmation questions like how much food he ate and where he slept, and then I was off! During my vacation I received a photo of Buddy running around in the sitters yard and wrestling with other dogs. He looked like he was having a blast, and it put me at ease while on my trip. When I arrived at the sitter's home, Buddy looked super happy, and he was dirty from playing in the yard that day. Apparently the owner needed help digging a hole in his yard, he just didn't know it. This was completely fine, as I told the sitter I planned on taking him straight to the groomers after his stay. So the sitter wasn't super worried about cleaning him up. The sitter even gave Buddy a toy to take home with him which was super sweet! Buddy slept the whole way to the groomers, and then rested for many days after our visit. It appears that the dog had a great vacation, as well as us! It was a great experience, and I would recommend it to many people! It is a much better alternative than having him cooped up in a boarding kennel and not getting any exercise. Extra bonus, the price was less than the kennels in our area! I always miss my puppies when I'm away from home, too. Even if it's just a few minutes! I love Rover! While I always wish my pup could come with me on my adventures, it's so great to know he's being loved and taken care of. I always encourage people to use Rover if they don't have a regular sitter. Also, your dog is adorable! Thanks! I'm glad you had a good experience as well! 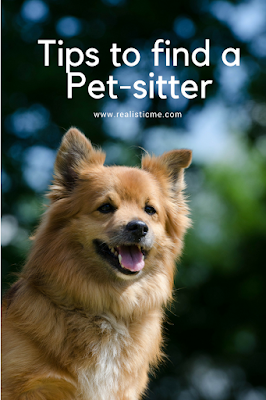 Let me know if you sign up and how your experience as a petsitter goes! It would be interesting to hear the other side. I love Rover! They wrote a post for me once too and were great to work with. Seems like you had a great experience and they updated you as you went! Getting those photos is really nice and helps reassure you that your pup is being well taken care of! When starting my career, family, and trying to maintain the "work/life balance", I struggled with the reality of the Internet. I would see posts and want to do them, but the time commitment simply didn't fit my busy schedule. This would leave me feeling frustrated and down. 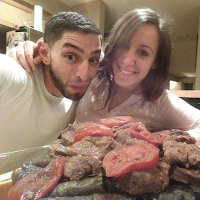 I started to gather recipes, projects, and research that helped me meet my expectations, while still maintaining a very busy life. My goal for this website is to only represent meals, projects, and travel plans that fit an everyday busy person's schedule. I hope you find this site helpful, and please leave a comment if there is anything you would like to see!